Earlier today, Square Enix released a mountain of information about Final Fantasy XV, their huge title that's set to launch on September 30th. 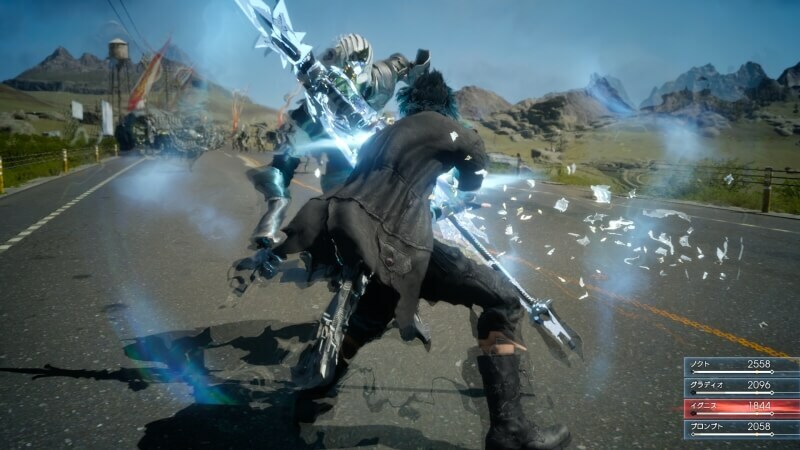 Unfortunately for PC gamers, though, Final Fantasy XV is only headed to Xbox One and PlayStation 4 at launch, with a PC version not in development at this stage. This news comes from an interview with director Hajime Tabata, who stated that Square Enix knows fans want a PC port of the game, however one isn't in the works just yet. This is due to the studio wanting to optimize the game on current-gen consoles first, which is where Square Enix will see the majority of sales . The good news is that Tabata didn't completely rule out a PC version of Final Fantasy XV. He said that once the development of the game on consoles concludes, "we will definitely take a good, hard look at PC and what we need to do, and consider all our options." While Tabata suggests that Square Enix hasn't decided whether to pursue a PC port of the game, a recent ad that appeared on GameStop claims that Final Fantasy XV actually is coming to PC. As spotted by Polygon, the right-hand banner ad in the screenshot above features a PC logo to the side of the Xbox One and PlayStation 4 logos. This could simply be a mistake, but it wouldn't be a surprise if the game does eventually come to the platform. The previous title, Final Fantasy 13, eventually reached PC a whole four years after it was released on last-gen consoles. Hopefully this time around Square Enix will bring the new Final Fantasy game to PC in a much more timely fashion.